“Often times, you’ll see something and you’ll just think, ‘How did they think of that?’ But the good news is that you don’t ever really think of it all at the same time. 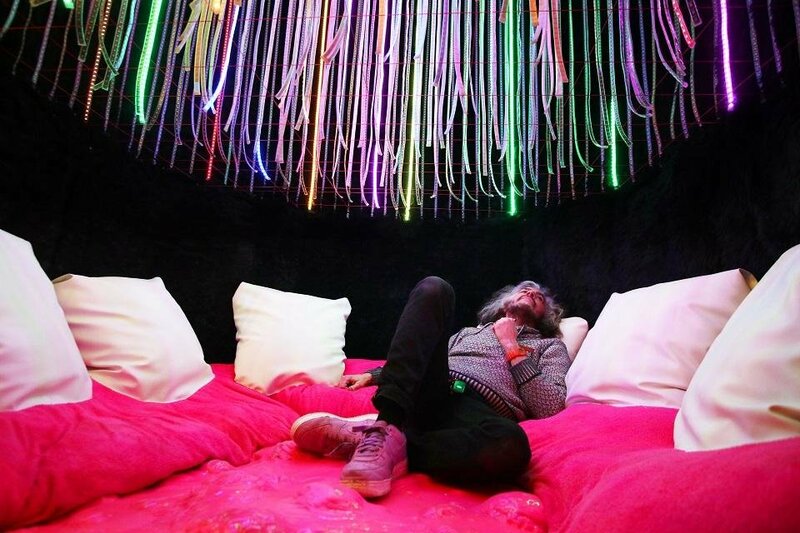 You thought of this, that didn’t all work, but a bit of it worked, and then that evolved into this thing,” Coyne said in a recent interview inside the recently reopened Womb. Since 2008, Record Store Day has been an annual celebration of independent record stores that takes place one Saturday every April. The event, which has spun off a Black Friday edition in November, has evolved to include dozens of exclusive vinyl and CD releases offered by musicians, while stores host special events like in-store concerts, meet-and-greets and DJ sets. 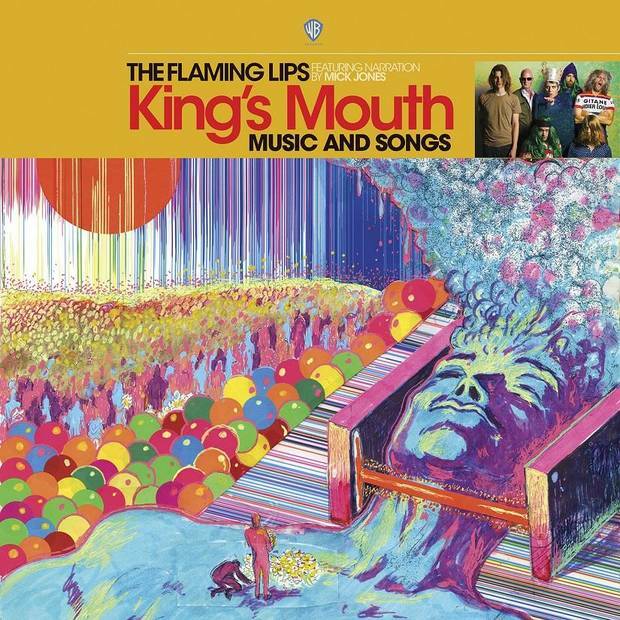 The Lips are among the most stalwart participants in the Record Store Day festivities. “I love record stores, and anything I can do to be involved in helping record stores do better and for people to experience going into a shop and buying stuff, I do,” said the Lips’ longtime manager Scott Booker, who managed the former OKC shop Rainbow Records before he started working with the band. 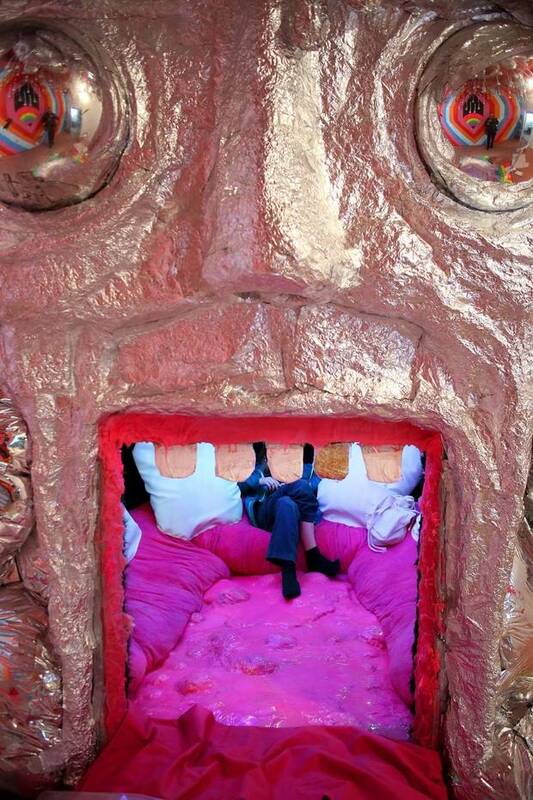 Coyne said his art installation has evolved to reach the point where it’s part of the band’s Record Store Day lore: The giant cylindrical structure of the “King’s Mouth” was initially inspired by a bizarre Japanese TV show in which kneeling people stick their heads through a table, have meat strapped to their foreheads and a giant lizard is unleashed in their midst. 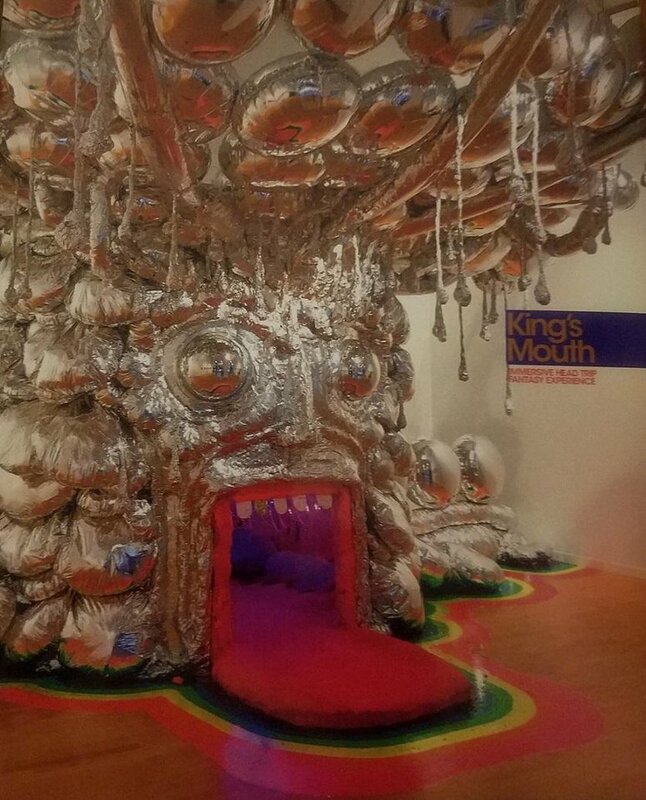 In 2015, Coyne and his cohorts developed a traveling version of the “King’s Mouth” that has exhibited at the American Visionary Art Museum, the Pacific Northwest College of Art in Portland, Oregon, and Meow Wolf in Santa Fe, New Mexico. Saturday, Coyne will celebrate Record Store Day 2019 signing copies of the vinyl exclusive at the Brooklyn record store Rough Trade NYC, where the mobile version of the “King’s Mouth” is making its next appearance. “People are loving the ‘King’s Mouth.’ They’re just having their minds blown every time, and it’s been really fun. People are just so excited that they have an opportunity to come into this building. 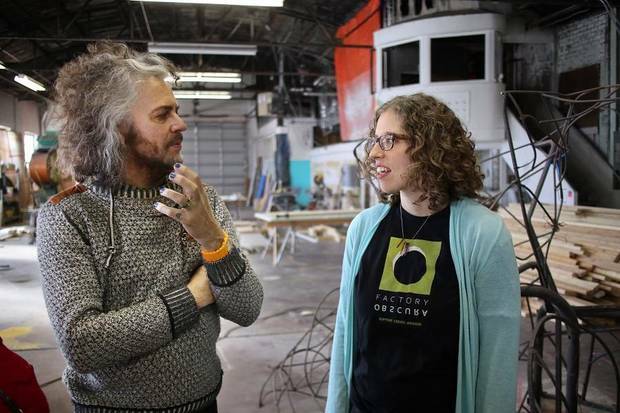 People have been so curious about this building for so long, for it to be open regular hours, people are thrilled about that,” Karper said. Since 2008, Record Store Day has been an annual celebration of independent record stores that takes place one Saturday every April. 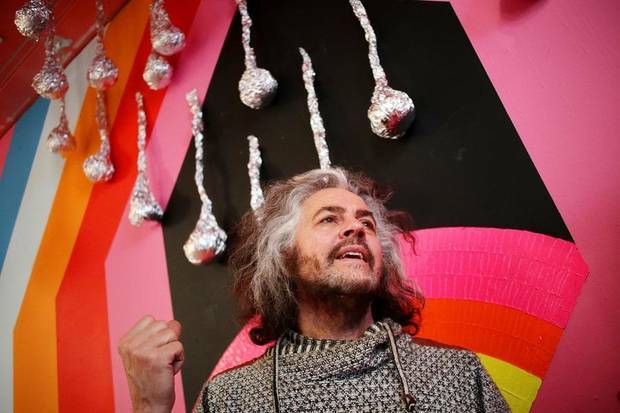 The event, which has spun off a Black Friday edition in November, has grown to include dozens of exclusive vinyl and CD releases offered by musicians, while stores host special events like in-store concerts, meet-and-greets and DJ sets. Participating stores in the metro area include Guestroom Records in OKC and Norman, CD Warehouse in Shawnee and 3 Dachshunds in Edmond. For more information, go to recordstoreday.com. 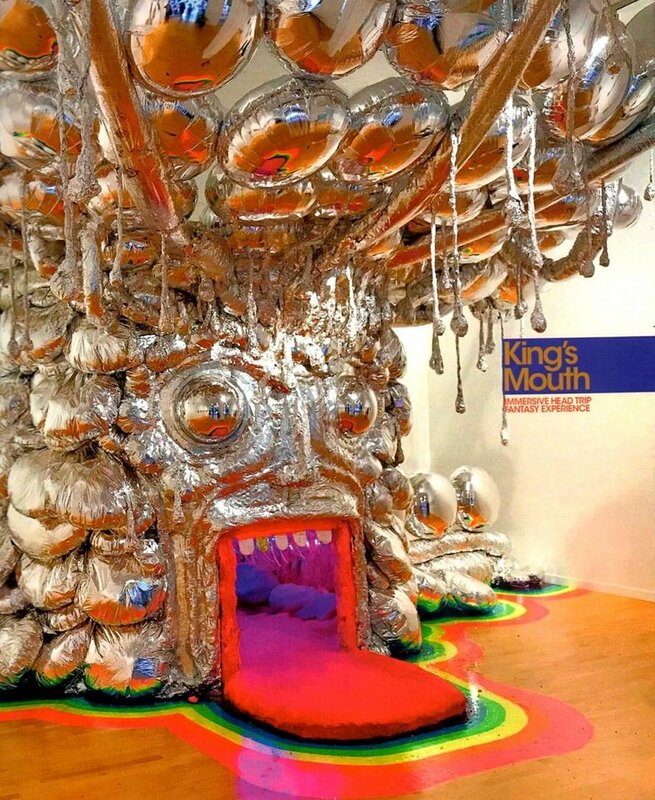 The original Flaming Lips “King’s Mouth” arts installation is housed at The Womb, 25 NW Ninth. 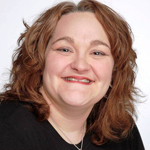 Hours are 11 a.m. to 7 p.m. Thursdays-Saturdays and 11 a.m. to 5 p.m. Sundays. Admission is free through mid-September. For more information, go to www.factoryobscura.com/mixtape.